Today, as we go to press, a few people are voting in statewide Republican primaries. Besides that few—early exit polling is revealing that today’s turnout is expected to be very low—not too many care who “represents” us any longer. Not that we’ve given up on democracy or the ideals of a free and robust society, but it’s more that we’ve pretty much concluded there’s no way to win if you’re an average American citizen of either major party. Both sides will knock you down. Both sides claim they care. Both sides take care of their own first, primarily the higher echelon of their own. Of course, there are other options, but when a fellow like Ron Paul, who has gotten traction from both sides of the aisle, can muster only a small percentage of financial and voter support after many years of trying, it becomes easy to concede that our two-party system is just that: a two-party system. Except, it isn’t. Ours is really a one-party system—them. You and I aren’t part of that system, except for our delusion that we really understand all the issues. We don’t understand the issues; we just say we do. We pick sides in the same manner as we do in sports. We cheer if we win, and we pout if we lose, not knowing the difference between a slider and a curve. Our politicians know we don’t know squat. They bank on it. They seldom communicate with us or hold town-hall meetings. When they do, they figure the answers they leave behind in La Verkin will satisfy the folks down in Blanding. We learn of what they do in newspapers, assuming they do anything noteworthy and get in the news at all. We don’t know why they voted a particular way on an issue—we don’t even understand the issue; we just know they voted, and it’s now our turn to stand up and either cheer or jeer. They know we’re stupid and will follow their spectacle, no matter where it leads. If we’re not stupid, what defines the big primary today between Sen. Orrin Hatch and his challenger, Dan Liljenquist? Start with this: It will be no surprise in November when Utah again elects a Republican senator. Nevermind that Democratic challenger Scott Howell is a person who is no stranger to decency, honesty and integrity—attributes Hatch and Liljenquist have shipped off like a Bain Capital assembly line. Howell deserves a better shot than Utah—straight-ticket, LDS, Republican Utah—will give him. 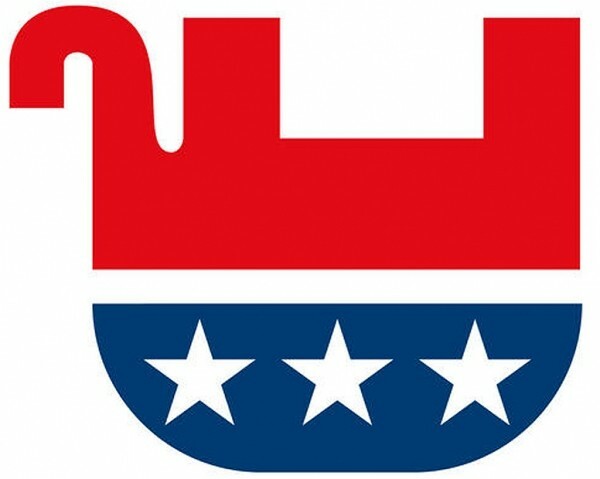 Deserving or not, place your money on the elephant, then get out of the way when either Hatch or Liljenquist babble on for the next six years about how they’re fixing Washington. People around here are always fond of citing attributes, not reality. It’s not uncommon for a Utahn to vote for a person because they are a “good person” or “have a nice family” or “own a successful business.” Or because they’re a “good ward member.” Can’t forget that one. Hatch, Liljenquist and even Howell know that. Our politicians can’t and won’t fix Washington. They are just massaging a water balloon. They’re not willing to pop it. You and I are stuck bouncing around from policy change to policy change, trying to make ends meet while whoever is elected gets all the benefits that you and I will never have with this additional perk: When you lose your job, you lose everything—yet when they lose their job, they keep everything, and then some. Seriously, wouldn’t you also lie like the dickens to keep your bounty? If you had health care, early retirement, a good retirement plan and a cushy lifestyle with all sorts of freebies tossed in, would you vote to change that? Of course not. People all over the world are focused on Greece, which has adopted a system of corruption that included offering its citizens health care, early retirement, a good retirement plan and a cushy lifestyle with all sorts of freebies tossed in. Suddenly, the whole world is an expert on foreign economics, despite that, in reality, they can’t count past 35 sheep. Because much of the Greek citizenry accepted those payouts in return for political patronage—which you also would do, which, in fact, you already do, but to lesser gain—Greece and the Greek people are being scorned from China to Berlin. And therein lies just one difference between Greece and America. In Greece, many citizens became complicit in accepting huge financial favors from their politicians. It kept politicians in power. In America, we have come to admire great wealth and “me first” thinking, so, unlike the Greeks, we let our politicians hose us down while we look at fireworks and exclaim “We are free!” when we are nothing of the sort. We keep enriching our politicians for nothing, not even a pat on the back. Greece paid out downward. America pays upward to the likes of Hatch and other professional political lifers. If paying down is called “socialism,” what is paying up called?